Available now at the DontCrack Store, Rob Papen’s new RAW-Kick virtual instrument, and the eXplorer 5 Bundle. Check out these great products from Rob and his team for your next productions! 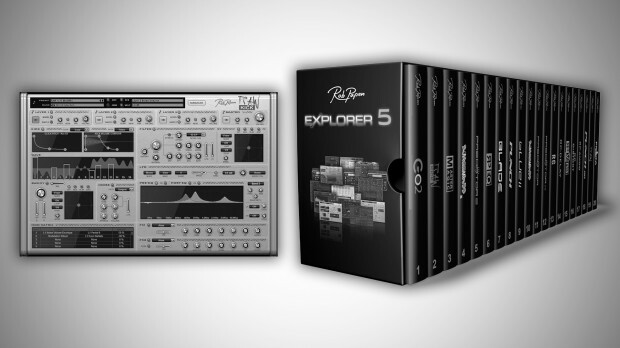 eXplorer 5 bundle contains all 20 inspirational plug-ins, virtual instruments and effects from the Rob Papen manufacturer catalogue. See all the details at the product page for what’s included and more information on this great packaged collection. This entry was posted in DontCrack, Event, Plug-ins and tagged Blade, Blue 2, Bundle, eXplorer 5, Go2 Synthesizer, MasterMagic, Predator, Prisma, Punch, Punch BD, Raw, RAW-Kick, Rob Papen, RP-Amod, RP-Delay, RP-Distort, RP-EQ, RP-Verb2, SubBoomBass 2. Bookmark the permalink.